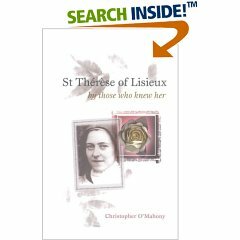 St. Therese of Lisieux by those who knew her is a transcript of the testimony of Therese's blood sisters, the nuns who lived with her, and others who knew her. It is a unique picture of what a life wholly yielded to God looked like from the outside, and a marvelous complement to Therese's own writings. To buy St. Therese of Lisieux by those who knew her, click on the image. 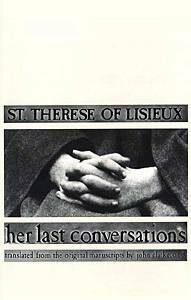 St. Therese of Lisieux: Her Last Conversations consists of notes Therese's sisters took by her bedside during her last months. The authenticity of Therese's reported words can decidedly not be guaranteed, but the book contains invaluable notes and some documented information about Therese's last months, such as a series of letters from Therese's cousin Marie Guerin to her parents reporting all the details of Therese's illness. 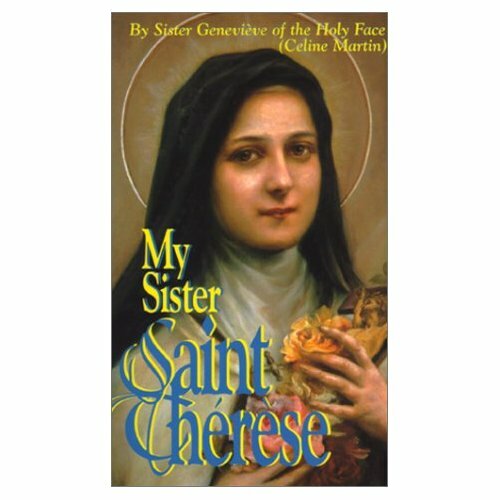 "My Sister Saint Therese" is a memoir of St. Therese by her sister Celine, who lived with Therese till Therese entered, corresponded with her over the next six years, and was one of the novices Therese directed for three years in Carmel. It is rich in conversations and incidents not reported by any other witness. "Therese of Lisieux and Marie of the Trinity: The Transformative Relationship Between St. Therese and Her Novice" by Pierre Descouvement tells the story of Marie of the Trinity, who was St. Therese's novice from 1894 to 1897. She lived closely with Therese, and her testimony at theProcess was important. This book is rich in stories about St. Therese and quotations from her that are not found elsewhere. To buy it, click on the image.